Cybercriminals hacked into the database of American Honda Motor Co., Inc. stealing the names, email addresses and Vehicle Identification Numbers (VIN) of 2.2 million car owners. 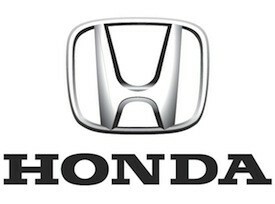 Those affected received an email from Honda last week notifying them of the security breach. It is not known, though, when the database hack occurred, reported the Columbus Dispatch.The email message to customers explained that their information was compromised by hackers who gained unauthorized access to an email list set up to create a welcome email for new Honda and Acura owners. The welcome email list contained customers' names and emails, as well as online log-in names and their 17-character VINs. The hacked Honda list, says Honda, contained no financial information, Social Security numbers or phone numbers. A separate list of 2.7 million Acura owners' email addresses was also accessed, but that list contained no other personal information. Acura is the premium brand division of Honda. "Based solely on the information that was accessed, it would be difficult for your "identity to be stolen," Honda wrote on its website. Honda has also set up an FAQ where owners can easily see what's at stake with this theft.